The efforts at differentiation to provide higher educational standards that are competitive, and more effective in meeting goals of students, will surely lead to a variation from the set patterns of structure and contents. This involves the process of innovation, and will ensure that Indian institutions gain the cutting edge to attain the leadership position in management education. Thus, innovation that leads to competitive differentiation is something to be nurtured. By itself this will involve changes to the contents of the programmes, and over time, even what is desirable as the structure of the programme. 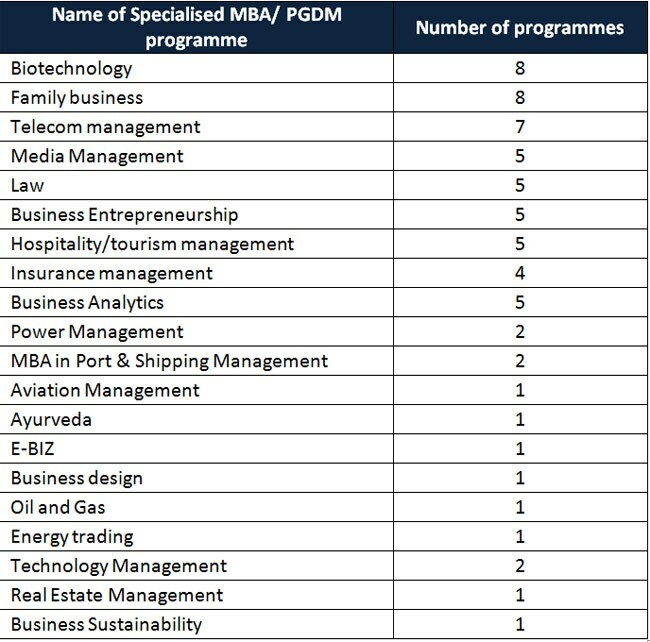 With limited demand of such courses for sector-specific professionals, only the real innovators would be able to survive in the long term and "me-too" types of courses would have no takers.